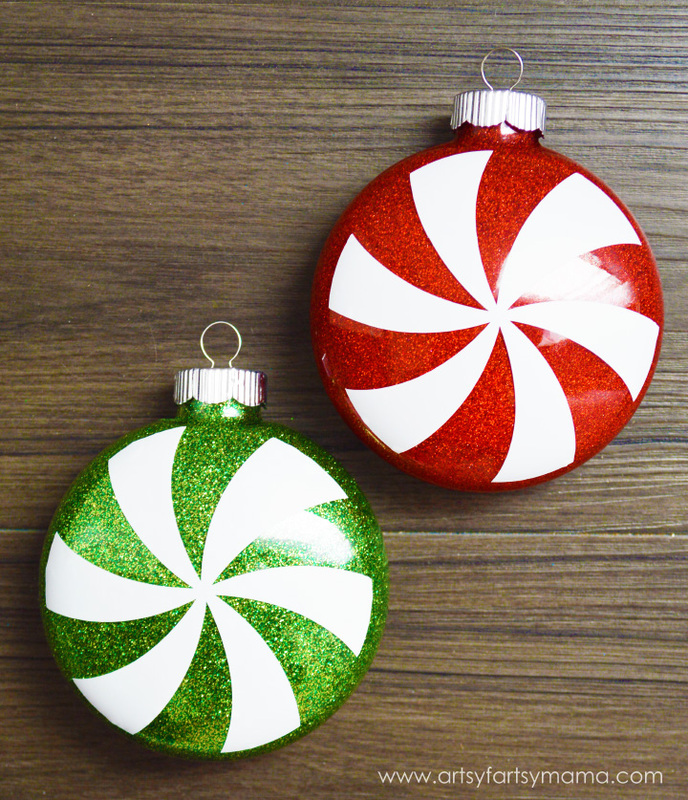 These Glitter Peppermint Ornaments will look so cute with your holiday decor, and are so simple to make! You can also easily make them in a variety of colors, so they really can coordinate with any holiday color scheme. 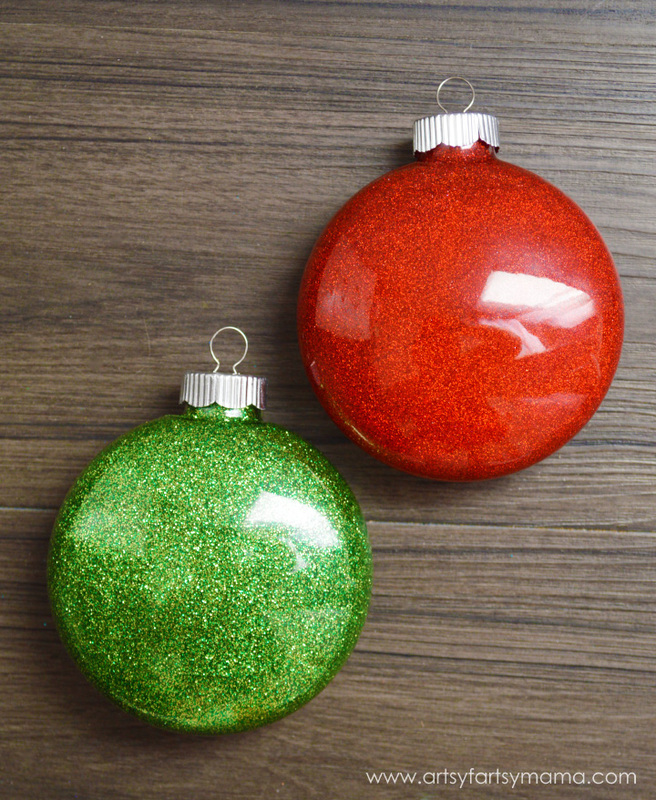 Follow the Glitter Ornament Tutorial to cover all your ornaments in glitter. The glitter is on the inside, so you won't have any mess at all! Next, size a peppermint swirl shape from Cricut Design Space to about 3-3.25" wide. Then cut out four of them with the Cricut Explore. Peel up the vinyl, and do your best to center the vinyl on the ornaments. It works best to press one swirl line down at a time and work out the bubbles. Since the ornaments are flatter instead of completely round, the vinyl go on smooth. The vinyl will bubble and not lay flat if it's a round, traditional ornament. Once all the ornaments have their vinyl, you're done! Add a ribbon to the top of the ornament and hang on your tree. I love this!!! I always get my glitter fix here! I've seen glitter ornaments before, but never with the peppermint candy twist. Love them so much! Your mint ornaments are absolutely gorgeous....like all the amazing crafts you create! LOVE the peppermint swirl idea. Super awesome job! Love it! And came upon this in the midst of glitter-ing bulbs for gifts! I don't see the peppermint design in design space- did you create it? If not, what do I search for (not under peppermint or swirl). Thanks! Can you tell me why my glitter fell off? I used the products you used but after a week or so my glitter ended up at the bottom of my ornaments. I just loved them!